As we head back to work, school and uni with 2019 unfolding, it makes for the perfect time to watch some TEDxSydney talks to get you through the month of January. 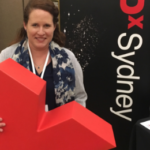 These gems from TEDxSydney 2018 will help sharpen your professional edge, nurture relationships and strengthen your resolve for all those good intentions you made earlier in January. Let’s start with Lucinda Beaman and her talk, What does it take to change a mind? Beaman is a fact-check editor at The Conversation, where, she said, she explores the evidence for and against claims made by Australian politicians and people of influence. From her talk, you can learn about ‘the illusory truth effect’. You can hear about ‘confirmation bias’ and how it causes people to reject or reinterpret evidence that contradicts their own views. What surprised me was her argument that changing one’s mind is a skill that takes practice, courage and emotional intelligence to have ‘fruitful conversations’. It calls for curiosity, especially when we find ourselves ‘unable to disagree on an issue even when the facts of the matter appear to be well established’. I would think changing a mind is solely an intellectual exercise, but Beaman’s talk is worth watching for the lessons she teaches us about how truth and facts relate to professional choices, levels of expertise and even one’s sense of belonging in a community. For a case study in changing your own mind, I recommend Stephen Scheeler, Five things I learned from being the oldest employee at Facebook. Scheeler shares how he shattered his preconceptions about age, both about people his own age as the oldest person working at Facebook Australia, and about millennials, his co-workers some 22 years younger than him. A great storyteller, Scheeler offers a funny account of his ‘ignorance tour’ and entertains through the subtle humour of his slides. He breaks cultural norms by giving millennials credit for things like gratitude and attention. Ultimately, his lessons about working across generations in Australia — and starting from a place of not knowing — make for good listening and deep learning. Another talk that asks us to question our assumptions is How diversity in fire and rescue will build a safer society, by Bronnie Mackintosh. Today’s firefighters spend only 7% of their time putting out fires and 93% of their time as rescuers, protectors, medics and educators, explains Mackintosh. Speaking in her fire gear, with her helmet perched on the big red X, she challenges the stereotype of the burly Aussie fireman by describing how small bodies and culturally competent rescuers have saved lives in some pretty scary situations. Her talk makes clear the real dangers of a homogenous workforce and how diversity brings compassion as well as multi-skilled players into a team. I loved her image of a firetruck as a giant red toolbox screaming down the street, but you have to listen to this brief talk yourself to enjoy the vivid anecdotes and serious messages she offers. Next, in a timely talk to watch as Australia Day approaches, Chyloe Kurdas shares her story as an elite athlete and the daughter of Turkish immigrants. ‘The Australian national psyche is built on two things’, she asserts: ‘war and sport’. Her talk, The power and potential of the woman’s game, narrates the heroic victory of the Australian rules football women’s league and how we can address gender inequality in Australia by working ‘from within’ as powerful social change agents. Kurdas remembers her five-year-old self realising what she calls the ‘gendered nature’ of not just her family but of the whole world, where ‘to be female was to be deficient’. Yet her TEDxSydney talk is one of triumph, and how her ambition to build a national sport competition for women and girls led to the jubilant first AFLW match with overflow crowds pressing at the stadium doors. Kurdas harnessed her desire to change the world for girls and changed the world of sport in the process. I think that all parents and sports enthusiasts–indeed, all Australians–will thrill in experiencing the force of her determination and her love of the game. These TEDxSydney talks will fire you up and motivate you for 2019. They will teach your brain new tricks, challenge your stereotypes about age, increase your admiration for first responders and engage your passion for Australian sport. But there’s one more important talk you need to watch to be a better you in the New Year: ‘I have to talk with my daughter about racism now’ by Miles Merrill. Merrill begins with a vocal performance called ‘Some sounds cannot be written down’ before turning to serious material: ‘Origin Story Superwoman’ a beautiful narrative spoken-word tribute to his young daughter, his ‘mighty immortal of the backyard’. If you are a parent, Merrill’s poem will bring tears to your eyes in identification with the ferocious protective love he expresses for his daughter. He warns her of those he calls ‘the sinister’, using an elaborate metaphor that will give you hope for how to talk to your own kids. If you have ever experienced discrimination or cruelty, his words will resonate as says, ‘No matter how smart, kind and beautiful you are, someone can hate you for being born different’. And if you’ve ever wanted to write about your life, his message will inspire you, as he encourages people to take up the tools of words and audience. ‘Anyone can tell a story, and when we tell stories, we bind the listener emotionally. We instill compassion and empathy in our listeners’. Why not listen to his challenge, open your mind to his message and consider writing your own story in this new year. Then come along to experience more powerful stories and performances at TEDxSydney 2019.